Hardcover with jacket, 576 pages, 13.5 x 21.5 cm, 5.3 x 8.5 in. 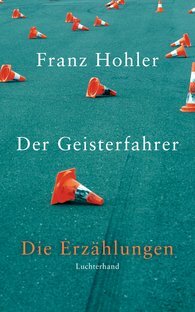 Franz Hohler is by no means only a master of pointed short prose works; he is also the master of the extended form, an outstanding writer of longer stories. This volume allows for the first time all the author's long stories to be read in the chronological order of their original publication. The result is a volume that is a unique pleasure to read, and it brings us closer to the narrator Franz Hohler than we have ever been before. The outcome is an impressive demonstration of story telling at its best in more than forty years of Swiss literature. "Franz Hohler’s works are wonderful stories – written in a playfully concise language. Perhaps they are something like the fairy tales of the 21st century."